Angelina Jolie has had it rough with her recent double mastectomy and reconstructive surgery, but without a good support system in place, her life might have been a mess. That’s where Brad Pitt comes in. He helped his fiance every step of the way and she has him to thank for providing support whenever she needed it. You just know that it had to take a lot of strength to get through her surgeries. It’s a whole new problem just trying to keep everything under wraps. Can you even fathom trying to keep her medical issues a secret just so that she can undergo her surgeries and recover in peace? 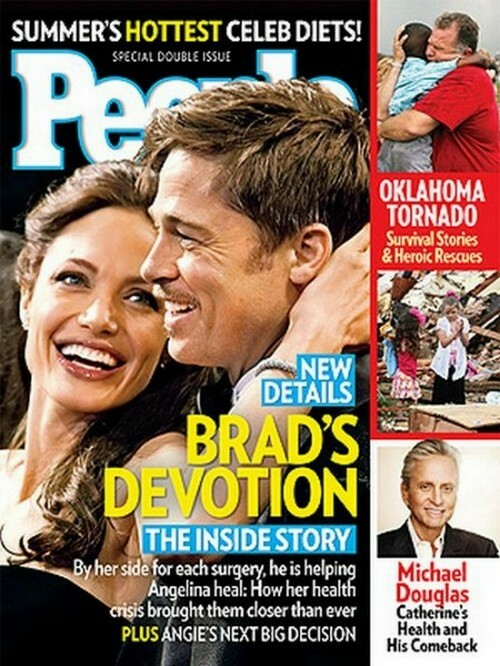 At the bustling home they share with their six kids in the Los Feliz neighborhood of Los Angeles, “Brad did everything he could to keep things secret and protect Angie,” a family insider tells PEOPLE in this week’s cover story. Using early morning appointments and rental cars to avoid discovery, “They really wanted Angie to be able to recover and rest before they shared the story,” says the insider. What a truly inspirational story of unconditional love and devotion.